As most of my readers know, I declared war on aging a few years ago. I try my best to bring the best of the best products to my readers and tell them all about the best products to play beat the clock on aging as I am. 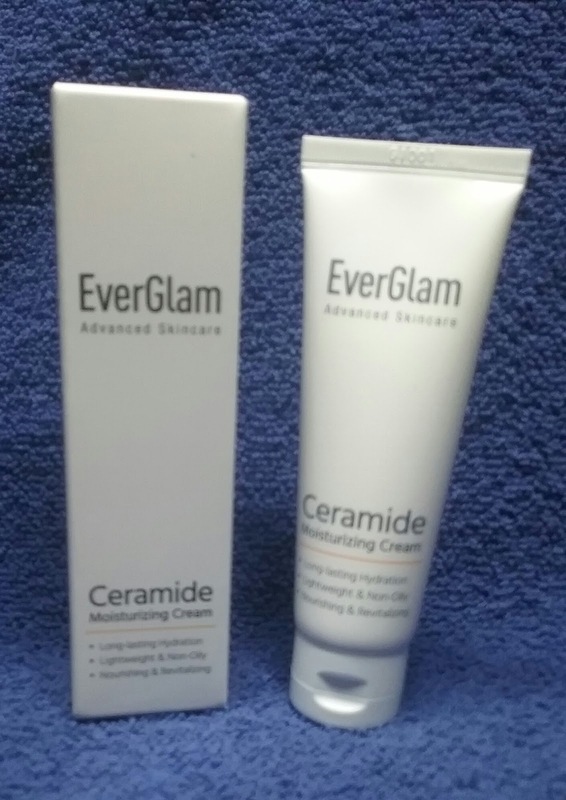 To be honest I didn't know much about ceramide moisturizing cream until I was given the opportunity to try Ceramide Intense Hydration Face Moistirizer By EverGlam . I decided to do a little research to see what it is all about. I like to know all about something before I put it on my skin. First thing I learned is that a ceramide moisturizer is one of 3 types of lipids (fats) that helps keep moisture in the skin. Ceramide containing moisturizers are a breed of moisturizers that contain the same balance of lipids that your skin does. With aging, skin loses it's youthful moisture, suppleness, and smoothness thanks to the loss of essential ceramide molecules.Skin ceramides make up 35 - 40 % of the lipids in the extracellular "cement" that binds together protective cells in the outermost skin layer, the stratum corneum. This non-greasy, lightweight moisturizing cream can be applied twice a day, morning and night to keep your skin comfortable and hydrated all day. It contains Green Tomato Extracts that rejuvenate your skin and fights wrinkles, Squalane that keeps your skin soft and mooisturized, and Argan Oil that is an antioxidant and conditions your skin.